Everything about JAM is a community effort. After years of grassroots service in the Parkside neighborhood, Amber Small and Monica Cichon founded JAM as the coffee shop that people wanted, but built in a way that it has already become a vested and reciprocating member of the Parkside, Buffalo, and Western New York communities we all cherish. Our full array of coffee drinks is powered by Tipico Roasters Coffee, along with a wide selection of teas and chai. We’re also proud to be partnering with Mundy Cakes to provide fresh pastries and muffins daily. Read more about our coffee menu. 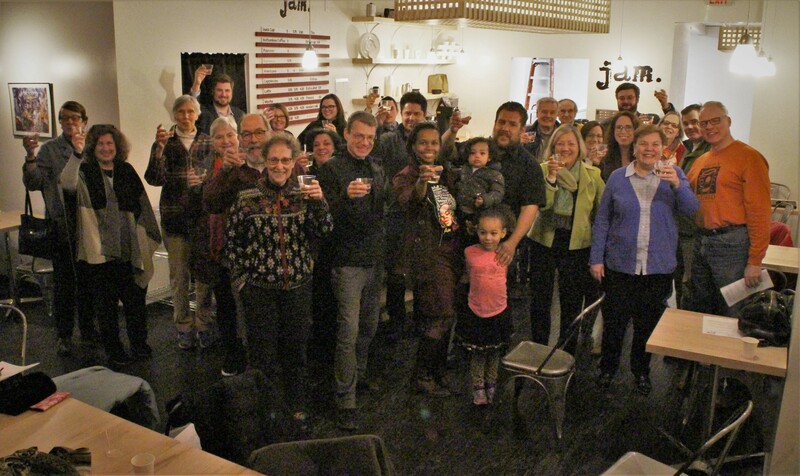 At least 50 friends and neighbors contributed to the complete renovation of our cozy shop with cleaning and painting, as our general contractor ReUse Action completely transformed the space, highlighted by the custom bar handcrafted from reclaimed maple gym flooring. Our signature custom light boxes were locally crafted by Brauen Custom Millwork. The new space was designed by Arch&Type. Even our corporate structure is community-based and unique to Western New York. 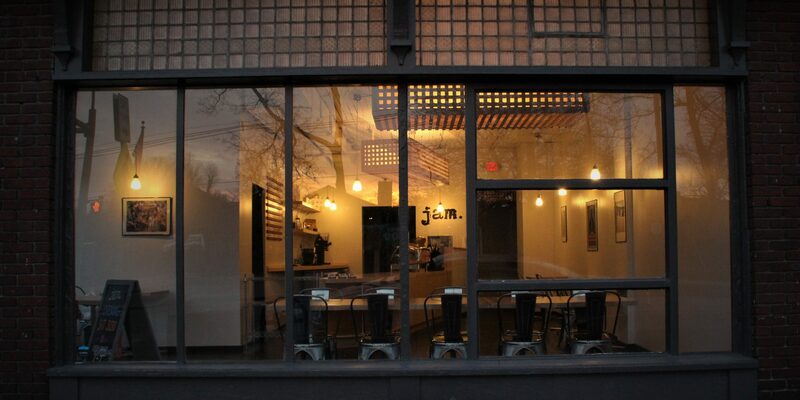 JAM is a benefit corporation cafe with more than 70 community shareholders. When we needed capital for our final build out, we turned to Grant Street non-profit Westminster Economic Development Initiative. We’re proud to share WEDI’s goals in creating a more diverse and sustainable community. Aside from offering great coffee and a true community gathering space, JAM operates with the intention of putting profits back in to our neighborhood through good works and projects that will beautify and enhance life in Parkside and all of Western New York. Community means something different to everyone, and we hope that you’ll make JAM part of your community. Stop in and find out what makes JAM Parkside special for you. Grab a cup of coffee and tell us what you think. Have you tried our Farmer’s Breakfast muffin?